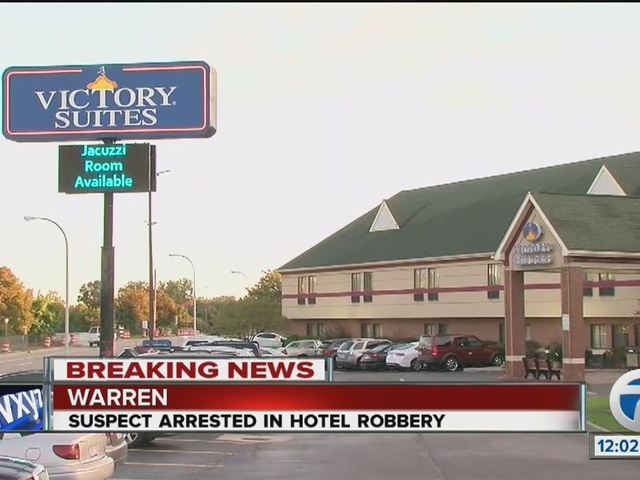 Warren police say they have arrested a woman in the robbery and shooting at a Warren hotel. According to police, it happened Thursday morning at Victory Suites on the I-696 service drive near Dequindre. Sources say a woman walked into the hotel around 6 a.m. and showed her gun. When she grabbed the money, she put the gun down. Then, sources tell us the clerk grabbed the gun, but there was a struggle. The gun went off and at least one bullet went through some hotel rooms. The woman got away, but sources say she was arrested late Thursday morning in Novi. She could be connected to another robbery in the area.